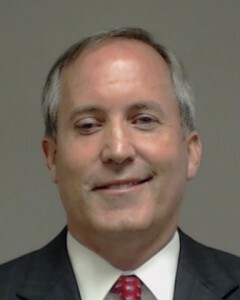 Texas Attorney General Ken Paxton’s attorneys have gone to court, seeking to force the Securities and Exchange Commission to produce notes of their interviews with the investors whose allegations form the basis of the civil case against him. His attorneys contend an SEC attorney told him that turning over the interview notes would show “the direction that we steered (the witness) with our questions would give away our strategy,” the motion states. The SEC’s prior filing did not mention the existence of any such policy. “This is a dramatically different story than the tale the SEC has spun about a decades-old investment group with established policies and practices,” the motion states. The motion says the attorney for Cook and Hochberg also stated that they did not consider Paxton to be their broker. The motion also notes that Paxton’s sworn statement was taken back in December 2014, yet the SEC did not take sworn testimony from potential investors in Servergy. The SEC interviewed Cook and Hochberg before filing its original case in April, but did not take statements under oath. See here and here for some background. “Cook” is State Rep. Byron Cook, “Hochberg” is another investor named Joel Hochberg. I have no idea what to make of any of this, but at this point I don’t expect much from this case. I’m waiting for the real trial, which will happen next year. The Chron and the Trib have more.